Many Americans believe that their medical issues are not best addressed by traditional medical providers. Alternative treatments, using new equipment or age-old Oriental practices, have a tenacious and growing place in the types of therapy patients go to for relief. Often, the non-traditional practitioners are hard to find, and they in turn have a hard time finding affordable office space and a group of like-minded professionals. Enter the Be Well Natural Health Clinic on Goodlette Rd. 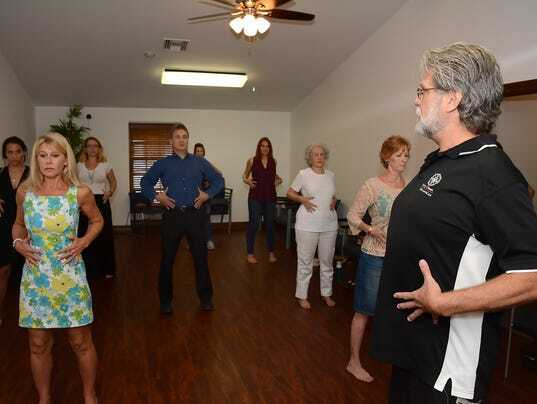 The office, housing a dozen natural healers in a wide variety of disciplines, brings together massage therapists, reiki practitioners, a hypnotist, and others offering foundation training, qi gong, and access consciousness, among others. Jo Vaccarino, who founded the Be Well center, said the idea was to offer “a community for the community. This allows natural practitioners to share the cost of resources, marketing, and space, and brings them together under one roof,” she said. Vaccarino’s specialties are qi gong, an ancient Oriental therapy in which she is pursuing a doctorate, and digital infrared thermal imaging. Danielle Elverd of Trinity Wellness, LLC, is a licensed massage therapist specializing in therapeutic and medical massage. Like a number of the practitioners in the center, she has more than one string to her bow, and also offers fitness instruction and health coaching to individuals and groups. Lori Bouchard is another licensed massage therapist at the center, and also offers access consciousness. “Access consciousness is energy healing, and can help eliminate blockages in your life, whether it’s money, career, or relationships,” said Bouchard. Kelly Ochiuzzo and Julie LeBriton have Stars Healing, LLC, specializing in jikiden reiki as well as healing crystals and life activation therapy. “This modality is an ancient tool that has the capacity to bring about healing and empowerment…lights up your aura, heightens your intuition and transforms your entire being,” according to their flyer. Barbara “B.J.” Paganelli is a registered nurse and board certified clinical nurse specialist who specializes in gerontology, health coaching and use of Avacen technology, applying non-invasive heat and negative pressure to increase microvascular circulation and reverse hand pain. Naturopathic consultant Ken Friedenberg also uses technology to improve circulation, with the Bemer electro-magnetic pulse therapy working throughout the body while the patient lies on a bed. “This is used by NASA in spacesuits,” he said, demonstrating the technique. “We still have space for a couple more providers,” said Vaccarino. “We are bringing a lot of disciplines together, but each practitioner has their own business and sets their own hours.” The Be Well Natural Health Clinic offers a regular schedule of classes and activities including yoga. They opened at the end of March, and plans to hold an official grand opening celebration in October or November at their offices in Colonial Square. For more information, call the Be Well Thermal Imaging and Natural Health Clinic at 239-307-5616, or go online to bewellnaples.com. The clinic is located at 1032 Goodlette Rd. in Naples.